In the wake of the recent shooting at Florida State University, concerns about safety on college and high school campuses are at an all-time high. 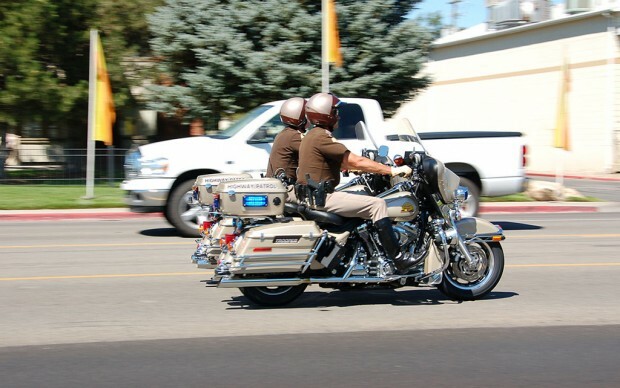 While the Salt Lake City Police Department (SLCPD) handles all issues that may involve high school students that attend classes at South City Campus, the Utah Highway Patrol (UHP) oversees the college-side of the campus. Many of the calls they receive involve simple shoplifting, arguments between students, vagrancy and car break-ins. UHP also has jurisdiction over Taylorsville Redwood, Jordan and Meadowbrook campuses. For more information, including emergency contact numbers, visit slcc.edu/police. “For the number of students on campus, crime is relatively low,” UHP’s Sgt. Waters says. Waters has worked at the South City, Taylorsville Redwood and Jordan campuses for the past ten years. The drills are held several times each year to simulate any worse case scenario that may happen, such as what happened with the recent shootings in Florida and Seattle. The next training is scheduled during Christmas break, while students are away. The last drill over the summer was especially helpful because it was held in the now-demolished administration building on the Taylorsville Redwood Campus. Prior to the scheduled demolition, windows were blown out and other damage was created to help officers train in a more realistic environment. Campus security is also responsible for training staff for various emergencies, including bomb threats, chemical spills and workplace violence. If students notice a classmate acting depressed, anxious or hostile but are hesitant to call the police, the Health and Wellness Clinic has trained counselors who are qualified to help assess the problem. Each building on the various campuses has a Building Marshal and a team trained by the security team to handle emergencies in each building. SLCC also has a Community Emergency Response Training (CERT) program, which trains individuals using the Federal Emergency Management Agency (FEMA) curriculum. CERT training includes fire and medical preparedness, light search and rescue and terrorism training. The most important part of keeping SLCC campuses safe is for both students and faculty to stay alert. Students who observe anything that just does not seem right are encouraged to call security.